In spring and summer, we anticipate each successive crop with the joy of new parenthood: we’ve cajoled and coddled the seedlings, protected them from the elements and competing nibblers, and finally, we sit back and enjoy them. 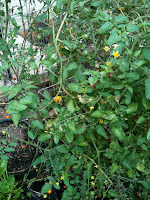 Ironically, watching their slow, ugly decline in early fall makes their expulsion from the soil equally satisfying. Deciding when to rip out the last of the harvest is always a tough call, particularly in an erratic climate like ours. 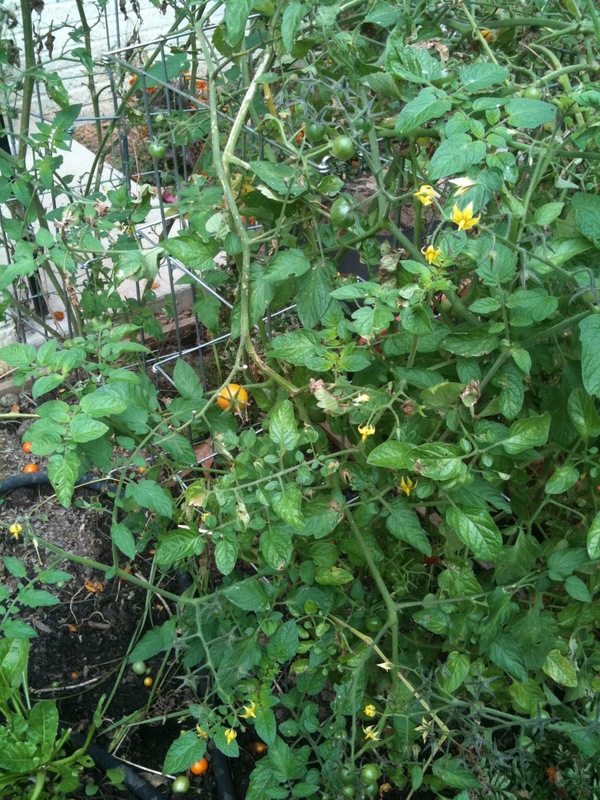 October started off cool, but warmed enough to sustain tomato, peppers, and basil for the rest of the month. On a recent afternoon, we invited our burgeoning neighborhood gang of mini-gardeners to rip out the tomato and cucumber vines in one bed. The kids loved cleaning up the garden, and I loved the free labor. 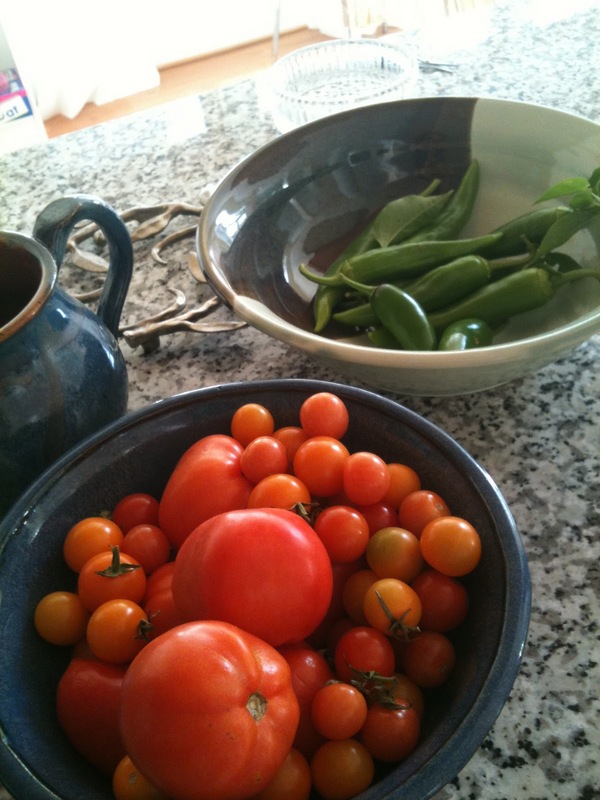 Nothing in the garden should go to waste, so I had the kids pick off the green tomatoes for later use. Green tomatoes intended for a green tomato-apple chutney sat ripening on our counter for about a week, while we scrambled to find time to can them. To our delight, they ripened enough to give us another batch of tomato sauce instead! With forecasts in the 70’s, it seemed we’d squeeze out one more round of pasta prima vera. A few stragglers trickled in, but we decided enough was enough: the last tomato vines yielded another four pounds of green cherries, which finally made it into the chutney. We used the free garden space for our cool-season crops, including spinach, kale, radishes, broccoli raab, cilantro, and mesclun mix. We could’ve and should’ve put in some peas. We’re still hoping to get some garlic going. We’ll cover this bed with a cold-frame and harvest the greens all winter. 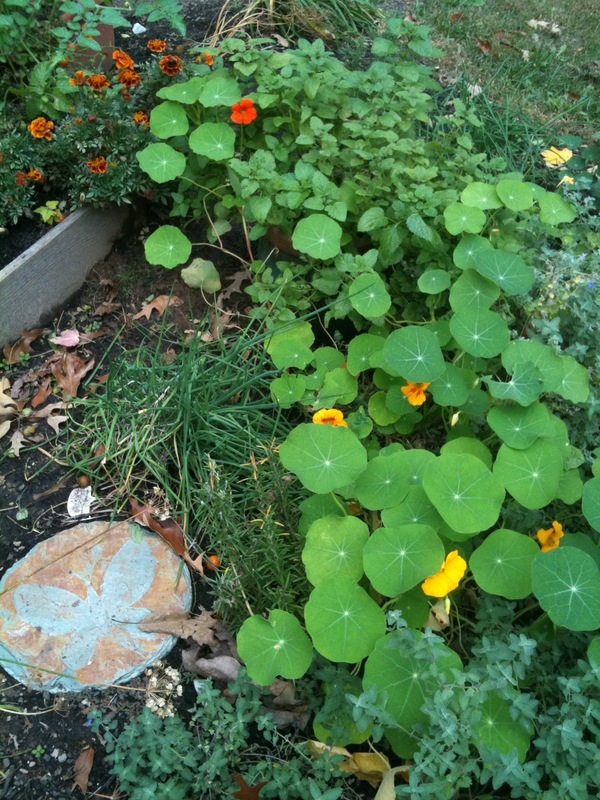 Meanwhile, we’ve got nasturtiums, thyme, and lavender in our sensory garden. We’ll dry the herbs and use the flowers to decorate our fresh greens. Ahh, we love each season more than the last! You can plant garlic by putting the cloves directly into the ground. It's a bit late for other crops, but you can kale and spinach seedlings in. I use a cold frame, which buys some time. If you cover your crops when night temps fall, you'll have greens well into the season. You can also plant a cover crop, such as rye grass. It will restore some of the nitrogen to the soil, and you can turn it under early in the Spring.